Deputy Commissioner (Management) (DCP MAN) Chiu Wai-yin led a Force delegation to visit Wuhan in Hubei Province from November 14 to 16. 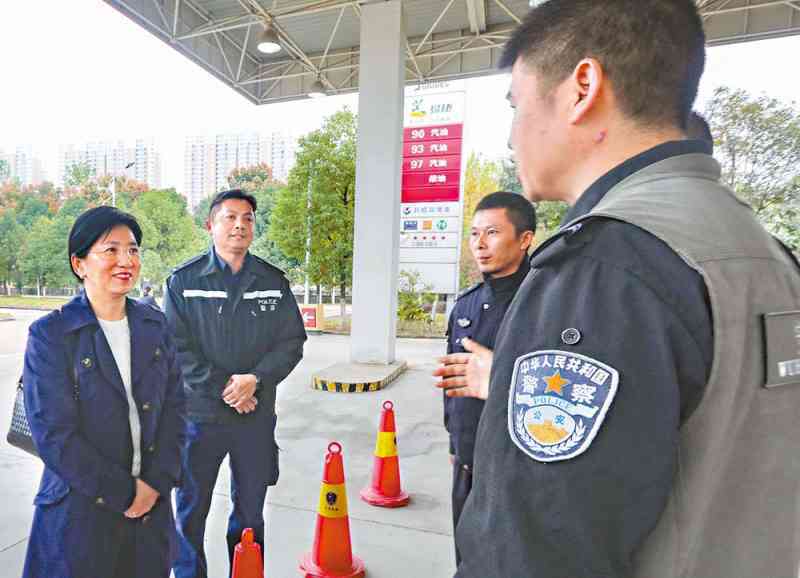 She supported a mobile training team of the Force Search Unit (FSU) in conducting training at Wuhan Police College, and officiated at the graduation ceremony of the training programme. The Force has been running mobile training programmes jointly with its Mainland counterparts in different provinces and cities since 2003. To date, more than 2 000 public security officers have taken part in the programmes. At the invitation of Wuhan authorities, the FSU provided a train-the-trainer course for Wuhan officers to enhance their search capabilities in preparation for the Seventh Military World Games (MWG) to be held in Wuhan next year. This was the first time for the FSU to provide a mobile training programme on the Mainland. The FSU training team, led by Superintendent of Key Points and Search Division Lok Wai-lurk, comprised two Chief Inspectors, two Senior Inspectors and 14 instructors of the FSU. They ran an eight-day training programme for more than 200 officers of a special weapons and tactics team and public security officers in charge of the security of the Seventh MWG. The training covered defensive searches of venues, vehicles and roads, as well as security screening. The trainees attended lectures and scenario-based exercises, and must pass a rigorous assessment at the end of the programme. At the graduation ceremony on November 15, Ms Chiu presented certificates to the trainees and praised them for their determination and perseverance. She hoped the trainees would apply the skills acquired to ensure the security of the MWG and the participants. She expressed her gratitude to the Ministry of Public Security, Hubei Provincial Public Security Department (PSD), Wuhan Municipal Public Security Bureau (PSB) and the Police Liaison Department of the Liaison Office of the Central People's Government in the Hong Kong Special Administrative Region for the invitation and their support to the training programme. In return, the trainees applauded the FSU training team for the tailor-made programme and their coaching. They also commended the professionalism of the Hong Kong Police Force. During the stay in Hubei, the delegation called on Hubei Provincial PSD, Wuhan Municipal PSB and Wuhan Police College, and met their management teams. Both sides recognised the success of mobile training programmes and explored collaboration in other training matters.